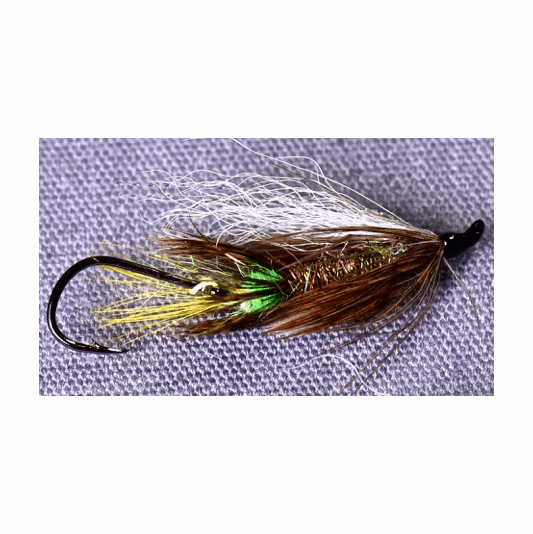 This Aquaflies Scorpion Stinger is a wonderful choice to fish when you want to swing a fly that is designed along traditional lines - but want the advantages (real or imagined) of s short shank hook. Length? Roughly 1.5 inches long. Weight? None. 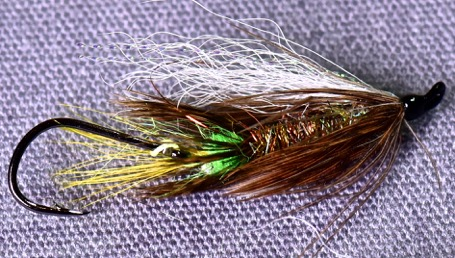 This is a perfect fly for the North Umpqua and other waters that prohibit weighted flies. Replaceable Hooks? Nope. The loop is too short to replace these hooks.